I happen to have this thing for meatballs. Well, it's not a thing, I just happen to love them. 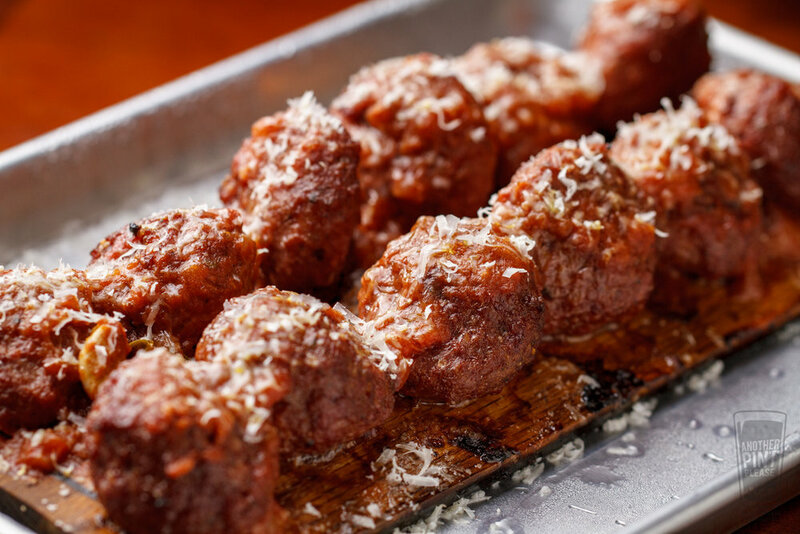 There is a local modern Italian place I enjoy and no matter what I order, I follow it with a side of meatballs. I just can't resist. Even when my stomach tells me to. So while waiting for the butcher at Whole Foods, who was prepping skirt steak for me, I happen to spy some meatballs and then, only 30 degrees to my left, some Wildwood Grilling planks (Note & plug: the wonderful makers of my Another Pint Please private label planks). 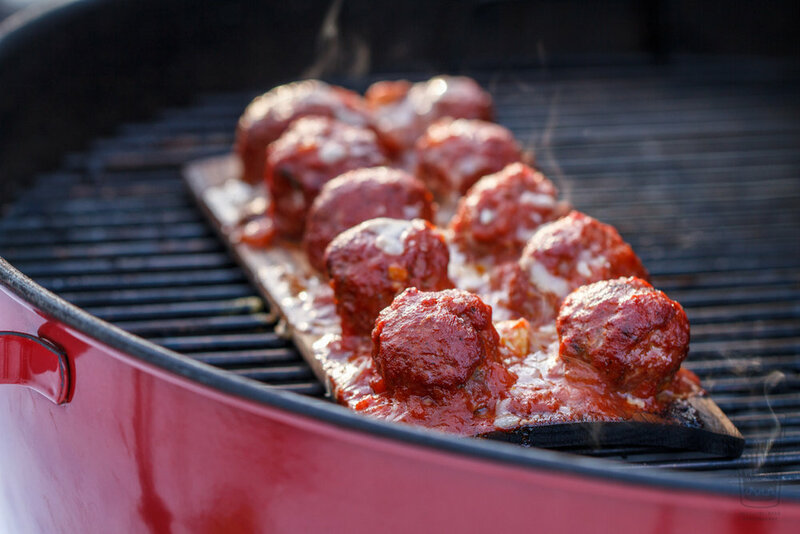 As my eyes dart back and forth like I'm watching a tennis match, I think to myself, "Why have I not planked meatballs?" As I look around to make sure I actually didn't say that out loud, I grabbed the meatballs and headed home on a mission. Oh, and I grabbed the skirt steak, too. For the purists, which many times I am, yes, I could have made my own meatballs (and yes, Mariana sauce, too), but sometimes I like the easy route, just as long as I can make it better. Enter the wonderful smokey contributions of the plank. 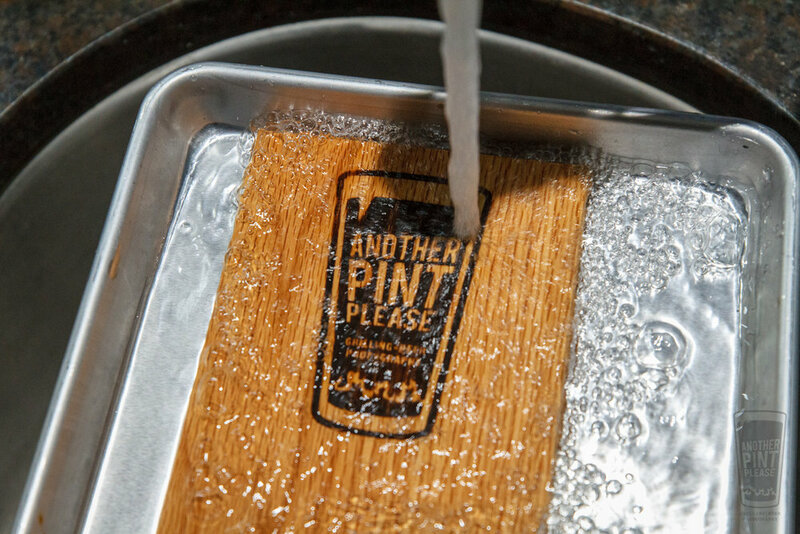 Soak the plank in water for at least an hour. I went with Oak, as it's a more resilient species on the grill. 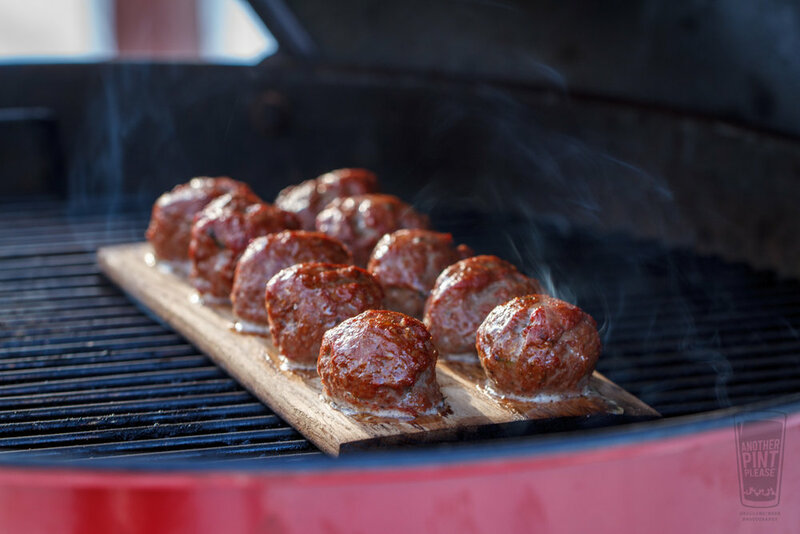 These are seasoned meatballs, so any species of wood will add its own unique characteristics. Slide the plank to indirect heat. Top the meatballs with marinara sauce. Lower the lid and grill an additional 10 minutes. Top the meatballs with the grated cheese. 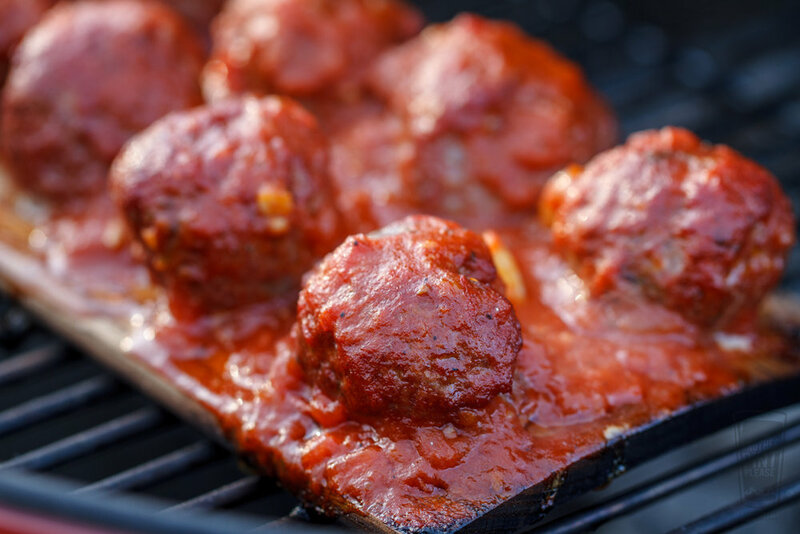 Grill an additional 5 minutes, or until the internal temperature of the meatball reaches 160° F with an instant-read thermometer. Remove and either eat on their own, or place on a bowl of spaghetti.